SUZETTE HEIMAN is a professor in strategic communication for the Missouri School of Journalism. 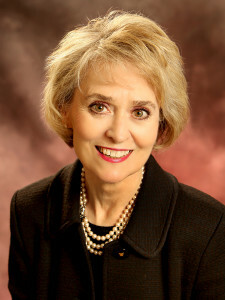 She spearheaded the 2008 centennial/dedication celebration for the School and the Donald W. Reynolds Journalism Institute, a three-day event that attracted more than 2,500 alumni, students, faculty and others. She is the editor of “The J-School, The First Hundred Years of the World’s First School of Journalism,” the commemorative book published in 2010. Suzette Heiman. The J-School: Celebrating One Hundred Years in Journalism and the Reynolds Journalism Institute Dedication, Virginia Beach, VA: Donning Company Publishers, 2010. Suzette Heiman, Dan Lattimore, Otis Baskin, and Elizabeth Toth. Public Relations: The Profession and the Practice, 4th Edition, New York: McGraw-Hill, 2012.